Our 'Naked' Range is Nitrate, Preservative & Sugar Free Baby! For those of you who are not familiar with The Naked Butcher, we are an Organic & Free Range butcher shop specializing in organically grown & ethically produced meats. One of the reasons we have been named "Western Australia's Premiere Organic Butcher Shop" is because we are the proud creators of our 'Naked' Range - Smallgoods free from Nitrates, Preservatives & sugar and is packed with flavour! When we eat nitrates, they are converted into nitrites in our digestive system, which are then converted to ammonia and disposed of by the body. Nitrites are also inorganic compounds made up of nitrogen and oxygen, but instead of three oxygen molecules they have two, NO2. 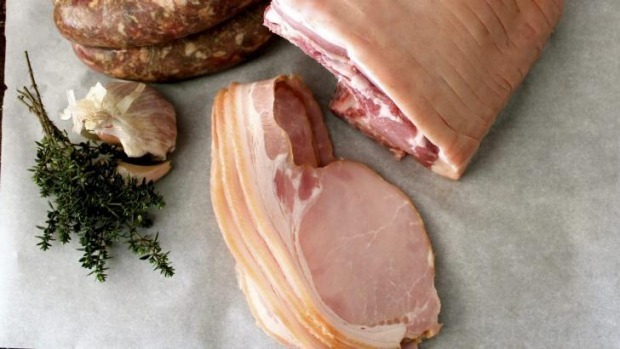 Why Should You Avoid Nitrates & Nitrites? Nitrates & Nitrites in small amounts are generally not harmful, however, they can be degraded into carcinogenic compounds by high heat and also by digestive enzymes.